We are happy to introduce to you a new and very handy TOPPING STATION. 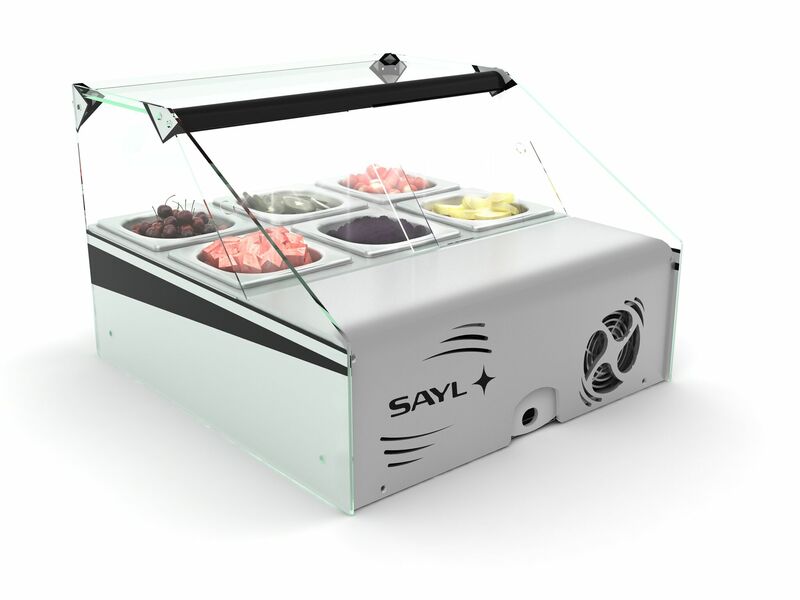 It’s very compact, with integrated cooling compressor, which is perfect as an add on for Frozen Yogurt Toppings! 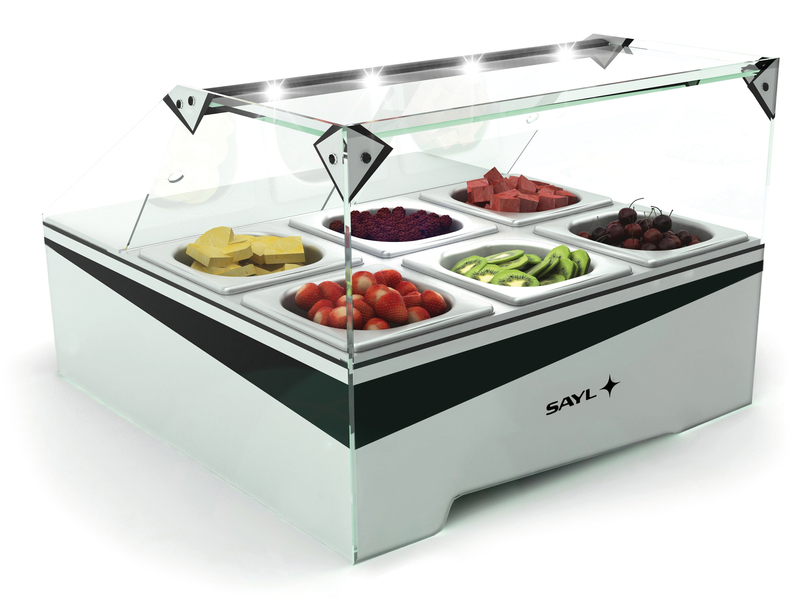 It’s a high Quality product manufactured by our partner SAYL. 6 Gastro Norm 1/6 included.